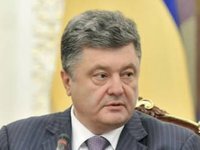 President of Ukraine Petro Poroshenko has announced the expansion of the agreement on visa-free regime with Serbia, thanks to which citizens of Ukraine will be able to stay in this country for up to 90 days without issuing a visa. "We have expanded the visa-free regime agreement with Serbia, and now Ukrainians will be able to stay in this country without visas for 90 days. The corresponding agreement has been signed in Belgrade today," Poroshenko wrote on his Facebook page. The Ukrainian president is on an official visit to Serbia on Tuesday, where he is holding a meeting with Serbian President Aleksandar Vucic.